Last week we caught up with Soundcloud to talk about Tough Mudder. With the Berlin event clashing with the SC Summer Party, it seemed like a good idea to look for an alternative event. The Hamburg Tough Mudder takes place on 11th & 12th October 2014. Single entry tickets cost €99. The price increases after 15th May 2014. In order to get into the best possible shape for this event, participants should work on a varied training program that includes strength, endurance and plenty of running. The event is a team activity, so whether you are entering as an individual, or as a Soundcloud team, the aim is to help your fellow competitors around the course. The course will have hills, mud, water, ropes, walls, electric shocks, and fire. All designed to push you to your limit. How can Urban Fox Fitness help me get in shape? It doesn’t matter what physical shape you are in right now. What is important is to take part in a solid, varied training program leading up to the event. This will include strength training with specialist equipment, body-weight training, obstacles, agility training and running – lots of running. Probably mainly up hill! The more variety, the better prepared your body will be. Each exercise session will be different. The workouts will focus on all your major muscle groups, and will definitely get you working hard. At the end of each workout there will be time to stretch out and cool down. Your instructor will set you homework sessions after each workout. These will help you build a solid foundation to your fitness, help to prevent injuries and keep you focused on the objectives. The Volkspark am Friedrichshain is your closest park, and offers some excellent terrain. Hills, steps, park equipment and trails. It is close to the office, and is big enough for us to find lots of variety for your workouts. Once Soundcloud moves into the new offices at Bernauer Str, the Volkspark Humboldthain and Mauerpark become the nearest training area. Both locations will be suitable settings for your workouts, and the change of location will boost you mentally. Variety is the key to reducing potential for boredom. Mid-week after work seems a popular choice. Meeting at around 18:30hrs for a 1 hour session every Tuesday or Wednesday, depending on the preferred choice. The Soundcloud team should decide which day works best for them. Urban Fox Fitness will do their best to provide your sessions on your preferred day. How much with the training cost? We need a minimum of 5 people to sign up for 6 sessions to get the classes started, so, we are offering a special reduced price if you pay up front. Pay-as-you-go price: €10 per session. Pre-Paid sessions must be paid for in advance either in cash or by bank transfer. Pay-as-you-go is in cash to your fitness instructor on the day of your workout. You can use your Soundcloud Well-Being benefit to pay for the classes. How many people can join the group? Numbers are not restricted, however, if more than 10 people attend on a regular basis, then the workouts will become less prescriptive. Urban Fox Fitness will offer an extra session either on the same day, or another day if this situation arises. 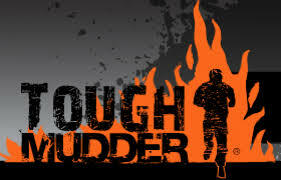 Can I join the training sessions if I am not doing Tough Mudder? Of course! The more people we get in our groups, the more fun we will have! I still need more information, who do I contact? When do the training sessions commence? We can start your sessions as soon as you want. We will need to have at least 5 people committed to the block of 6 sessions to get the program started.